For the 2nd year in a row, the Watermelon Cup finals went to overtime. The match was scoreless through 37 minutes. Three minutes from time, Lefty Penderakis scored for #1-ranked Greece. But Emerson Anvari equalized 1 minute later, for #2-seeded France. 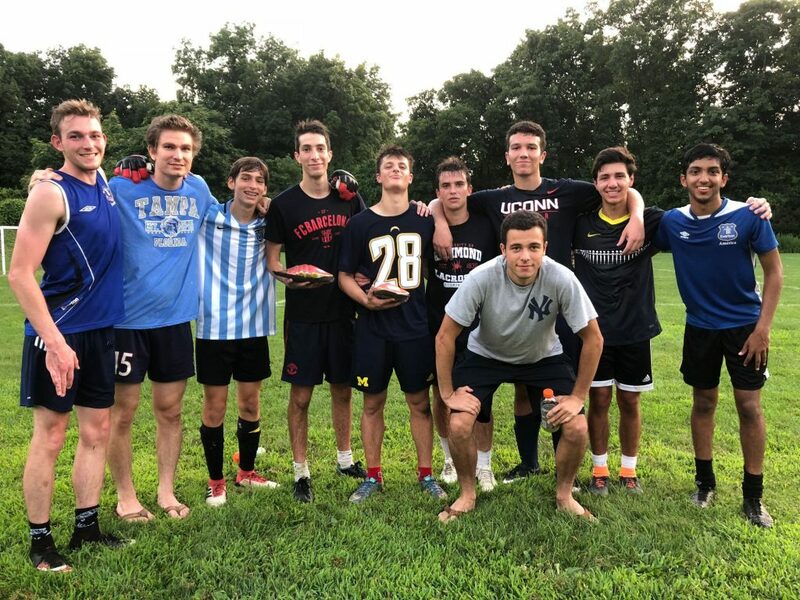 Following Watermelon Cup rules, the game went to golden goal — but every 2 minutes, each team took 1 player off the field. With the field opened up, Matt Tanzer pounced on a rebound to give Greece the hard-earned 2-1 victory. Congrats to the Greeks on a well-earned win; to France for a worthy final, and to all for another successful Watermelon Cup season. For the full Watermelon Cup page, click here. The winners! 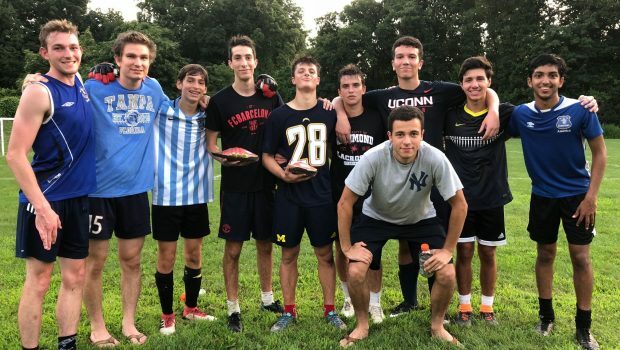 Josh Berman (front); rear (from left): Spencer Daniels, Reilly Lynch, Sebastian Montelieu, Austin Sholes, Mason Reale, Matt Tanzer, Lefty Penderakis, Alejandro Perez Elorza, Surya Balaji.